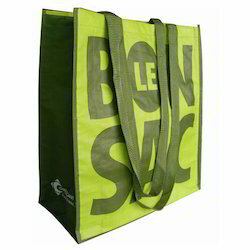 Prominent & Leading Manufacturer from Mumbai, we offer pp woven bags. Backed with immense industry-experience and knowledge, we are engaged in offering a comprehensive array of PP Woven Bags. Offered tape bags are acclaimed in the market for its strength. These tape bags are manufactured by our skilled workforce using optimum quality material and latest machines keeping in mind the norms of market standards. We are providing these tape bags in various customized options and at market prices.